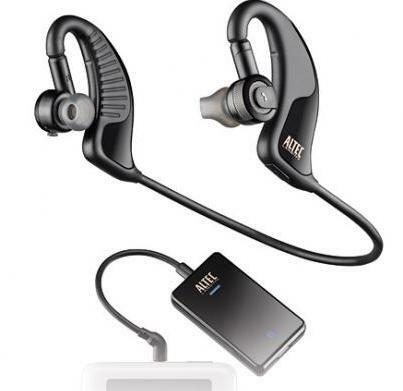 The world’s most valuable and innovative audio brand, Altec Lansing has announced the availability of its first wearable stereo Bluetooth products – Backbeat 906 and 903 Stereo Bluetooth headphones, which incorporate OpenMic technology that allows the users to instantly hear their surroundings without removing the headphones, aiming to provide greater convenience and safety during exercising. The BackBeat 906 includes a stereo 2.0 Bluetooth adaptor for your iPhone, iPod, MP3 or other audio device via standard 3.5mm jack, while the BackBeat 903 consists of the headphones only, which specifically designed for use with Bluetooth enabled MP3 players and stereo Bluetooth enabled mobile phones. The new Altec Lansing BackBeat 906 and BackBeat 903 Stereo Bluetooth headphones that weight about 34g are expected to be available by late February 2009 for about $130 and $100, respectively.